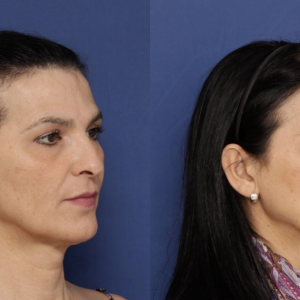 Over recent years, FACIALTEAM´s experts in facial feminization have been seeking the ideal methods for forehead and hairline feminization, while avoiding visible scars in order to achieve natural results for those patients seeking a brow bossing reduction. 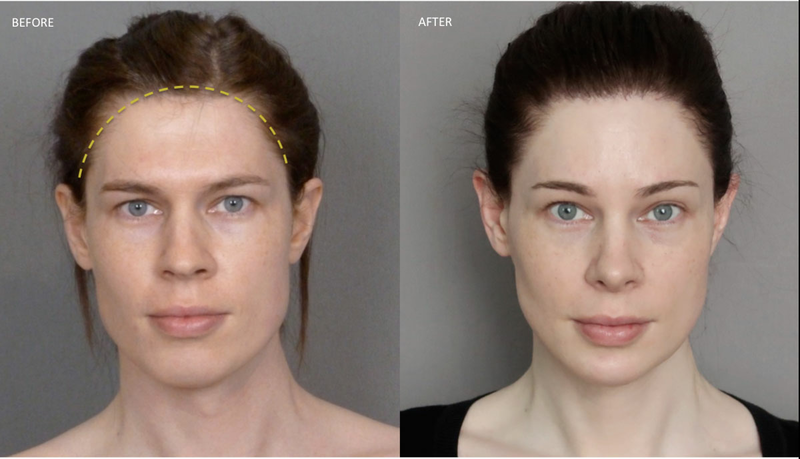 Hairline Feminization: What are the options? Hairline feminization: What problems are there with Hairline incision? Thanks to FACIALTEAM´s refinement of the procedure and the incorporation of Hair transplant Unit, hairline feminization is possible via hair grafting simultaneously, on the same day as FFS Surgery. So, what options exist for patients who really do have an excessive vertical dimension of the forehead (tall forehead, height between the nasal root and center of the hairline) or the typical M-shape hairline? First, determine if you are indeed a candidate for surgical hairline advancement. FACIALTEAM only offers this treatment as a last-resort option for specific patients in need of a dramatic shortening of the forehead. Care must be taken as in some cases a small forehead has an undesirable masculinizing effect. Secondly, if you need hair transplants for a better hairline shape, determine when to do them: simultaneous or delayed hair transplants. It does not completely solve the problem of the M-shape hairline, as this technique is unable to obtain perfect results in the closure of the unwanted “widow peaks”, requiring hair transplants to improve this anyway. Ideally, the entire forehead and hairline area is treated in a single visit and operating session, reducing travel costs and the expense associated with multiple visits to the operating theatre. Of course, the patient should not expect to sacrificehave obvious scars in highly visible areas in exchange The modified crown approach (Capitán et al. ), is an incision normally hidden within the hair, yet allowing the surgeon to access the forehead region easily for needed brow bossing bone feminisation. Thereafter, hair microtransplant surgery is the best solution to redefine the hairline shape and for the closure of the “peaks” or corners since the results are more natural and predictable. Depending on the patient, either FUSS or FUE techniques would be recommended. 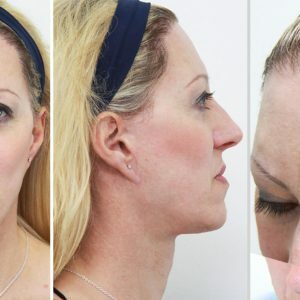 In only one treatment visit, the patient has feminized her forehead and brow bossing as well as redefined the hairline into a more feminine shape. Offering treatment with an absence of visible scars, we aim for absolute excellence in the feminization of the forehead and the hairline. See our 3-D Videos on the feminization of the upper facial third for more details. Dr. Luis M. Capitán and Dr. Daniel Simon are founders and co-directors of FACIALTEAM, an internationally renowned team of professionals specialized in facial feminization surgery with centers in Marbella, Spain and Sao Paulo, Brazil.